Spellso is the name of the suspicious search engine whose address is Istsearch.com. It might seem like a decent search provider at first sight; however, it has been observed that Spellso might replace your homepage without your permission. Therefore, it is usually classified as a browser hijacker. As it has been found out, it is very likely that you will encounter search.atajitos.com as well because Spellso is closely related to it. In order to set your preferred homepage and search provider, you will have to eliminate the software associated with Spellso via Control Panel and then reset your browsers. If you do not have much experience in malware removal, you should definitely read throughout this article in order to be able to get rid of Spellso without any difficulties. You should not trust Spellso just because it allows you to search images, videos, and news (multisearch service). 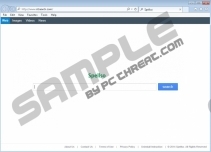 As the researchers of pcthreat.com have found out, Spellso might provide you with third-party links and place them among search results. It just simply means that you might click on them and be taken to unreliable websites. Unfortunately, this browser hijacker is not responsible for the content of these third-party websites, which means that you might find malicious software on them. In order not to cause harm to your system’s security, you should definitely get rid of Spellso as soon as possible. It has been found out that Spellso is usually installed silently; thus, it is not very likely that you have downloaded and installed it on the system. The research that has been done by the specialists of pcthreat.com has shown that this infection tends to slither onto the computer when users click on ads offering to install fake Java or Flash updates. Do you want to protect your system? If it is exactly so, you should definitely install an antimalware tool and always ignore ads placed on unreliable websites. In order to get rid of Spellso easily and quickly, you should definitely follow the instructions placed below the article. If you seek to save your valuable time, we recommend using an automatic tool. What you have to do is just to launch the scanner and all the infections will disappear for good. If you install a reliable tool, for instance, SpyHunter, your system will be protected from various undesirable applications 24/7. Select ISTsearch and then click Uninstall. Launch your browser and tap Alt+H. Click Reset Firefox button again when the dialog box appears. Click Reset browser settings and then click the Reset button. Quick & tested solution for Spellso removal.